A lovable green ogre saves the day! "Fairytale meets panto meets Monty Python"
"A big hit. Brilliant show"
"An amiable, well-crafted show that puts you in a pleasant frame of mind"
Shrek is a fun family musical that can be enjoyed by children and adults alike! Shrek was amazing. best i've ever seen. Saw Shrek the musical last night and I didn't expect it to be so funny! It was hilarious and there were some great additions to the story. Nigel Harman, well he was amazing!! All in all, a really good night! I would recommend. From the very beginning till the end you could tell that a lot of money has been pumped into this show, which on one level makes it a must see for the superb set and lavish costumes. However, the set and costumes aside the story itself is just as compelling as watching the original film the first time round. Alice Fearn who played Princess Fiona (Understudy) was simply astounding and immediately removed any negativity due to the fact Holden wasn't there. The star of the show was clearly Nigel Harman as Lord Farquad who provides much hilarity, energy as well as a strong vocal performance. Overall this musical is a must see, especially for families of all ages. 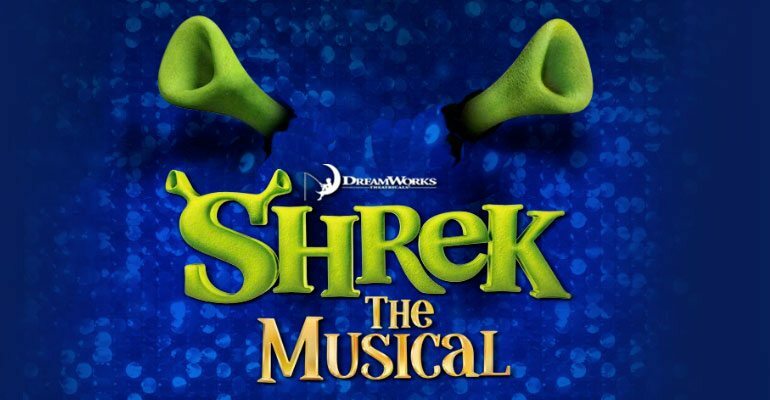 The musical score is apt and humorous, cleverly parodied to other musicals in the west end, reminded us of why we loved Shrek in the first place. I predict a steady audience for this show for some time to come. If Shrek really isn't your thing, then you must simply go to see the spectacle of the Dragon on stage, which had the audience in awe! Went to see this last night, a fantastic show up there to rival the big names in the city! Amanda Holden was superb, and Nigel Harman as Lord Farquaad was the absolute star of the show. If you're a fan of other West End shows, you'll appreciate some of the more 'in' jokes too..
Foster and d'Arcy are great actors who make Shrek the musical very enjoyable to view. This one of the best shows! Superb show, really enjoyed it saw it on 11th May. Main cast all played fantastic parts, especially lord farquaad who was not short of humour, fabulous show. A treat for all the family.